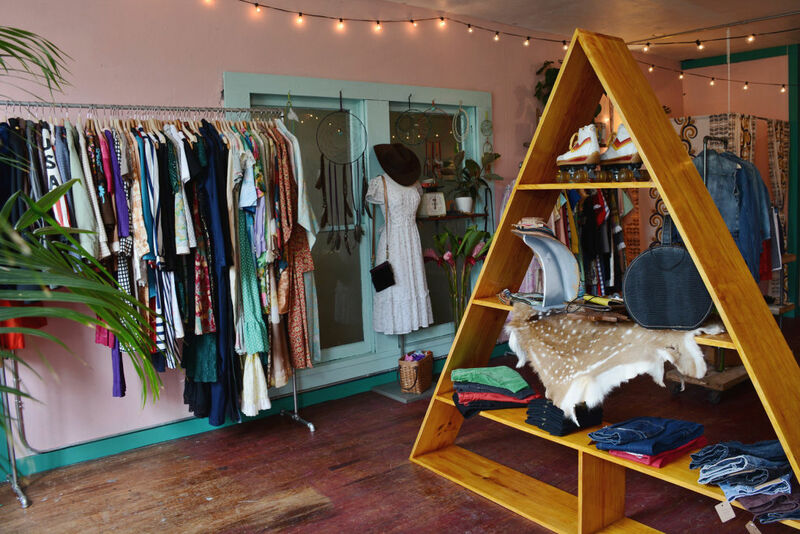 Located in the colorful Mid Main district, Milk + Honey Vintage is the perfect addition to an eclectic group of second-floor shops. 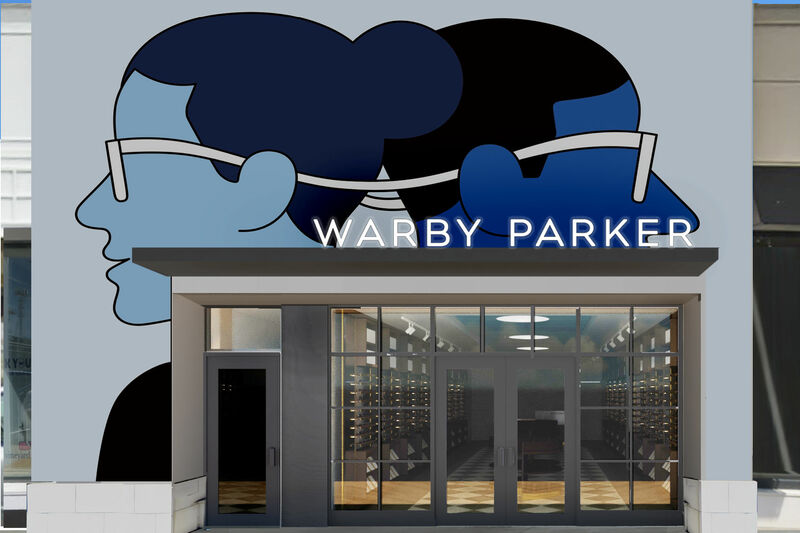 Cid lives just down the street, so she knew if she didn’t take advantage of the location it would be in the hands of another vintage lover with the same dream or an artist looking for a studio space. A month and a half was all it took for Cid to transform it into Milk + Honey Vintage. She's run her business for several years online, and previously tried out brick-and-mortar by opening Catacomb in East Downtown, which closed last March when she and her business partner wanted to pursue different goals. 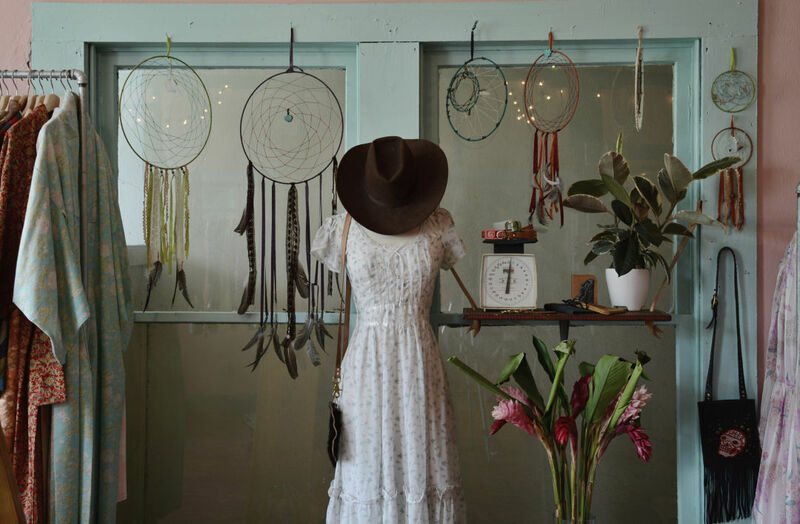 Inside the store, shoppers will find an array of clothes, jewelry and accessories, not to mention millennial pink walls and a desert boho vibe courtesy of some dreamcatchers, a painted cow skull and a handful of leafy palmettos. “I have two consignors in here, but the vast majority of the clothing in here is from me, which is cool,” Cid says. “I have probably 300 pounds of clothing in here, which is insane." 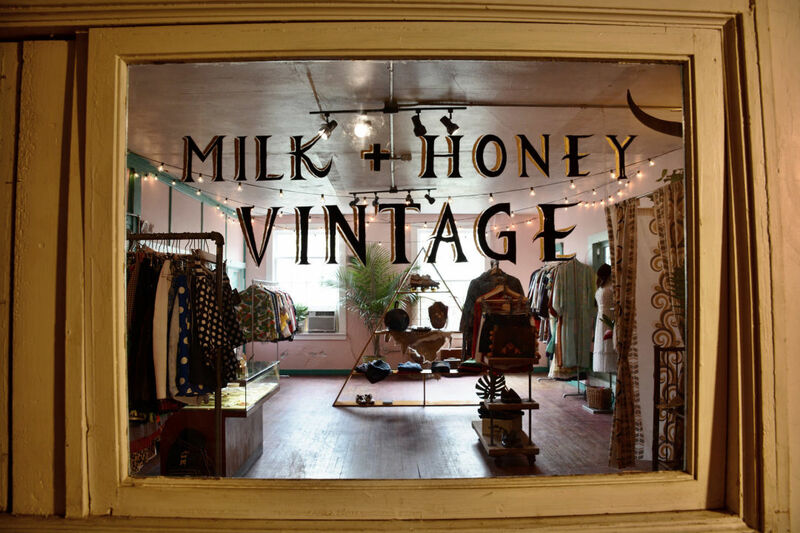 Milk + Honey Vintage will also feature several local and independent vendors, including Space City Mod Vintage, Lee Lewis Designs, Blue Crown Artifacts, Canned Oxygen Design, Twisted Arrow Goods, Drainage Incorporated, Rowdy Leather, and Jade O Lantern. “I’ve always been with the mind of having a collaborative spirit and making sure everybody gets their exposure, everybody’s working together to keep their passions and their dreams going,” she says. One thing Cid has always felt very strongly about is paying attention to detail and ensuring the racks look inviting. "It's the little things. 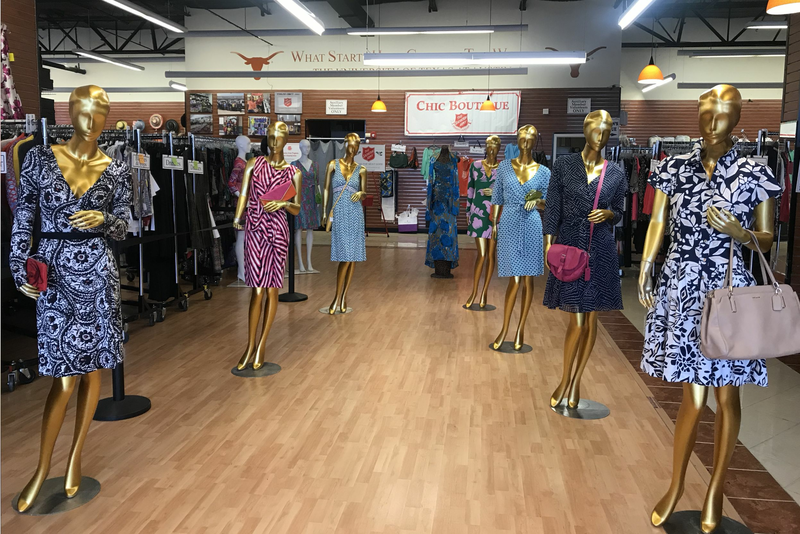 Having matching hangers, having pieces paired next to each other that complement the other piece so it doesn't just look like chaos on racks," she said. "I'm very picky about what I want displayed in here, and that's why things aren't crazy cluttered. 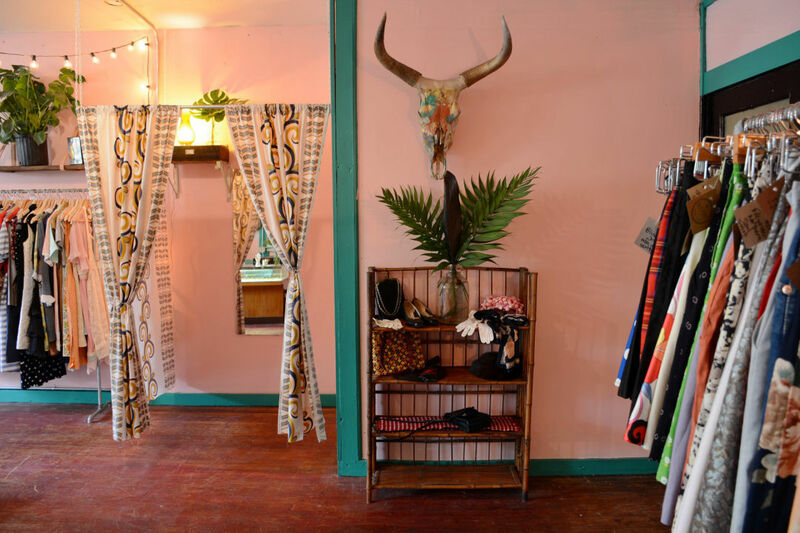 You see a lot of vintage shops that are [chaos] and you can't even look through them." 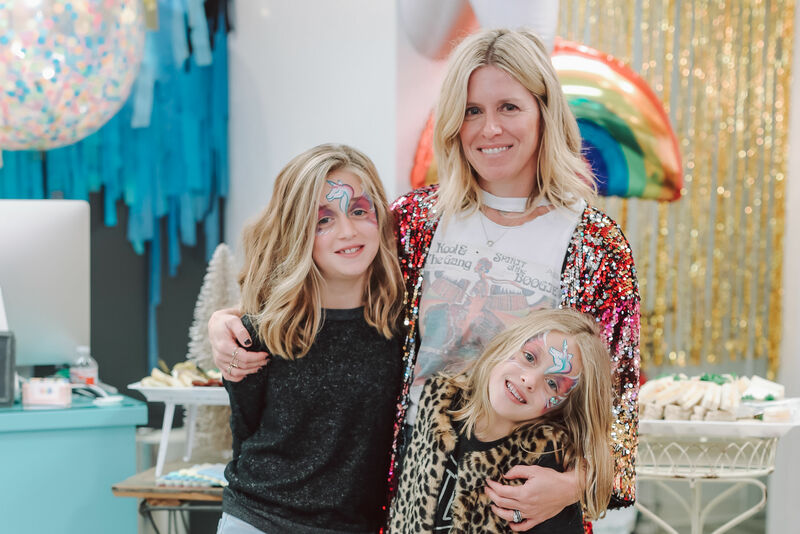 As the grand opening kicked off in late July, Milk + Honey Vintage was filled with shoppers and close friends of Cid when the power went out. The entire building was steaming and everyone was left in the dark. When the power came back on around 9:30 p.m., the store was still packed with vintage lovers.